Fall in love with this pear-shaped blue sapphire and diamond V bar necklace in 14K white gold from Apples of Gold Jewelry! 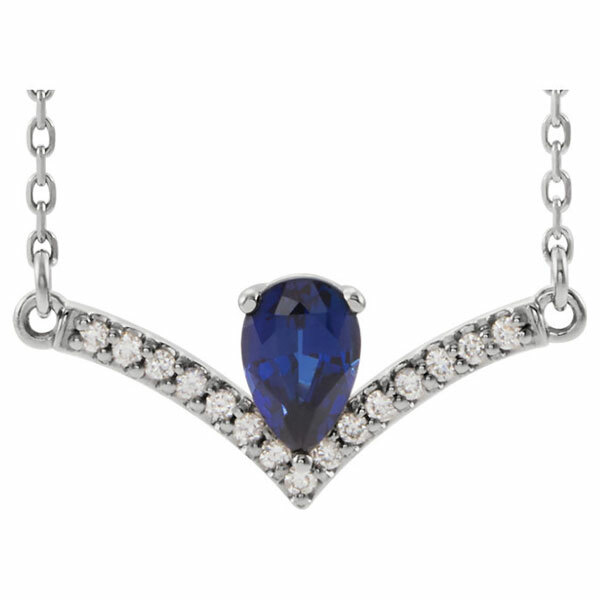 This 14K white gold necklace features a V shaped bar with an authentic pear-shaped blue sapphire gemstone in the center. The deep, oceanic blue gemstone measures 6mm by 4mm in size. 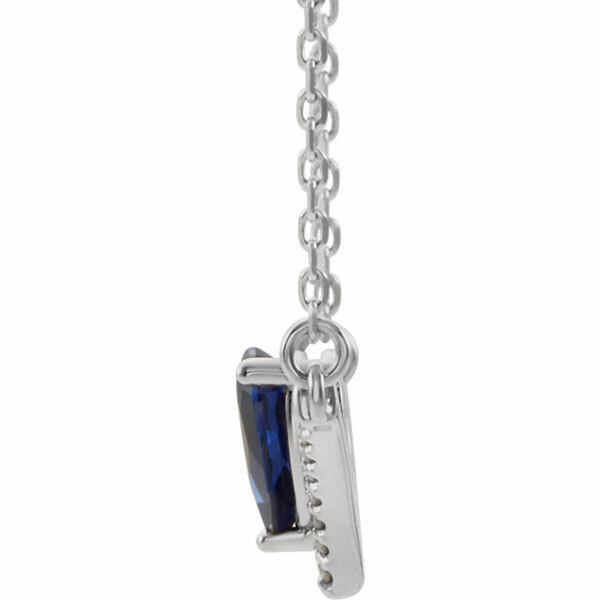 Surrounding the sapphire along the V shape of the bar pendant are small diamonds, totaling 0.08 carats. The diamonds are rated G-H for color and I1 for clarity. The pendant measures 3/4" wide by approximately 3/8" tall, and you have the option to choose from a 16" chain or an 18" chain. We guarantee our Pear-Shaped Blue Sapphire and Diamond V Bar Necklace, 14K White Gold to be high quality, authentic jewelry, as described above.